If you're even thinking of being in Austin, check out the rest of our DestiNATION: Austin guide. It's stacked with expert advice from locals on what to eat, where to drink, and what to do. T he noun you’ll hear applied to Austin most is “bubble,” often with the adjective “blue.” And chances are high that as you’re visiting Austin during SXSW or Austin City Limits or any of the other festivals and conferences that take over our city, you’re in a bubble nested in that bubble. It may seem obvious, but let me assure you, there is a “real” Austin here, beyond the glass. Festivals have been credited with (and blamed for) attracting transplants, and those transplants often see themselves as musical and liberal and future-minded, so this bears underlining. Behind the creative, progressive image that SXSW and ACL project, you'll find Austin struggling to live up to the marketing campaigns that brought you here. It’s pretty easy to peek at the reality of the city even during SXSW or ACL. For starters: Just look around and notice how white the lines are outside venues, the audiences inside. A good portion of them are out-of-towners, sure, but if these festivals are supposed to represent this city, what do they say about the overall accessibility of the city? Is Austin -- a place where the black population is just 8% and declining -- what a progressive haven looks like to you? It’s one of the toughest questions facing Austinites of any race. I’ve been in this city for just under a decade now, so feel free to take my words with as many grains of salt as you’d like, but I keep finding an Austin that lags well behind its hype. For decades, the city has served as a haven for musicians and other artists trying to get by, but in recent years, as it transformed into a tech hub, it hasn’t truly reckoned with its ingrained history of segregation. When you find yourself caught in I-35 traffic, consider that in 1928, that sprawling, perpetually under construction interstate served as the dividing line for Austin’s master plan to push Black Austinites into East Austin -- a border that people on either side rarely crossed. Talk to South Congress shop owners about what used to be across the street from them. Yet throughout segregation, the East Austin community flourished. “It was a wonderful place to grow up,” said Austin Council Member Ora Houston, who has lived in Austin for over 60 years and grew up on the East Side during Jim Crow days. “I had a wonderful childhood.” She remembers her community as vibrant and supportive, even if it was rare to see a white person on the east side of 35. That’s no longer the way the city works. In the past decade or so, East Austin’s affordable real estate near Downtown has lured in newcomers, who blithely shouldered out the black and Latino communities. Rising property taxes have forced out families who’ve lived in the city for generations, casting them into surrounding suburbs. Those who have managed to stay constantly hear a message from real estate agents to “move out and move on.” This is what it looks like when a neighborhood “improves” in Austin. Walk down a block in East Austin, as I do often, and you’ll see the results: newer, modern rectangular homes sectioned off behind “gentrification fences” next to more humble homes. There’s little in life that I enjoy more than eating and drinking under open sunshine, and Austin is a world capital of bars and cafes surrounded by outdoor wooden benches. But sometimes when I visit bars on Manor or East César Chávez, I can’t help but wonder how many cafes and bars one area really needs. It’s hard to shake the awareness that I’m basking under the sun in the backyard of what used to be somebody’s home. I’ve been looking, too, since returning to Austin in 2014 after a year abroad. Absent the community I’d been a part of at UT, the city’s lack of diversity really struck me. That’s not to say UT, a school of 51,000, of whom black students comprise just 4%, is exactly a paragon of diversity. But there black student organizations proactively reached out to freshmen and created events. Even as I took classes where I was sometimes the only black student, my social life felt rich and connected. Besides, we had the Malcolm X Lounge, a public lounge within the largest dormitory on campus where black students always gathered and socialized. I haven’t found my Malcolm X Lounge equivalent. That bubble burst when I graduated and left the city. When I later returned to Austin, I faced the challenge of making new friends. So many of the friends I’d made at UT scattered for other cities -- Dallas, Houston. They’d had fun while in school, yes, but why stay in a city as white as Austin when more diverse places made them feel more included and wanted? If you’ve never been that person -- the only one of a certain color in a very large space -- then consider Zora Neale Hurston’s observation: “I feel most colored when I am thrown against a sharp white background.” It’s a feeling of being at once hypervisible and invisible. I felt it for the first time in Austin when I’d just returned to the city, stepping out onto the roof patio of a Downtown bar, looking for a place to drink under the sun. It jolted me to notice every person who turned to glance at my entrance was white. The shock came from waking up to the knowledge that Austin was not the city I’d experienced at UT. That initial sensation has faded, but the Get Out level of discomfort has settled in to stay. Nobody has to say anything to make you feel out of place when you’re the only black person trying to enjoy your beer at yet another wooden picnic table. How do you enjoy a city like Austin knowing how segregation and gentrification are warping the city? I believe it’s possible to be a “conscious visitor” here -- perhaps even necessary. Get outside the bubble. Find the older, deeper Austin. Spend your money in that Austin. Keep it going. Virginia Cumberbatch, an Austin native and the Director of UT’s Community Engagement Center and Social Justice Institute, says you need to do your due diligence if you’re going to cross I-35. The city’s rich with history, and while there are some historical markers around to guide you, sometimes getting just off the beaten path is enough to get you in the right direction. It’s hard to shake the awareness that I’m basking under the sun in the backyard of what used to be somebody’s home. If you’ve somehow got the time to wait in line at Franklin Barbecue, a short walk further up 11th St will land you at the yellow Dedrick-Hamilton House, a house owned by one of the first freed slaves in the county. If you’re exploring the bars on East Sixth, you can visit bars like La Perla, one of the first Chicano bars in Austin. Or you can even walk over to Seventh St, where you can look up the hill to Huston-Tillotson University, an HBCU that was the first institute of higher learning in Austin, even before UT. Here are some starting points. 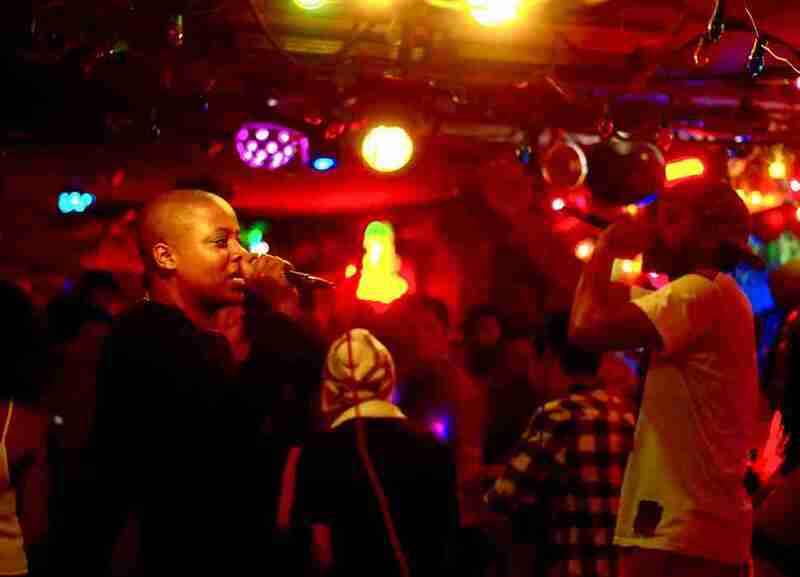 Riders Against the Storm, a husband-and-wife hip-hop duo, host a themed Body Rock ATX party once a month at Empire Control Room. Brunson said South Congress Hotel’s First Thursday Party usually tends to draw a more diverse crowd. Kenny Dorham's Backyard, named after the legendary trumpeter and located next to the Victory Grill on East 11th, hosts a variety of jazz and blues festivals throughout the year. Sometimes the amount of work it takes just to see more than a few black or brown faces in a crowd in Austin can be frustrating. But clearly organizations and groups are creating events for black people in Austin, and maintaining lists of black-owned restaurants and food trucks you can support. There may not be many of us, but we are definitely here. Get outside the bubble. Find the older, deeper Austin. Spend your money in that Austin. No matter what brought you here, keep mixing it up. If you’re here for SXSW, enjoy that exhaustingly long conference and then escape to some part of the Greenbelt with a pack of beer and some friends. I’m partial to Bull Creek. 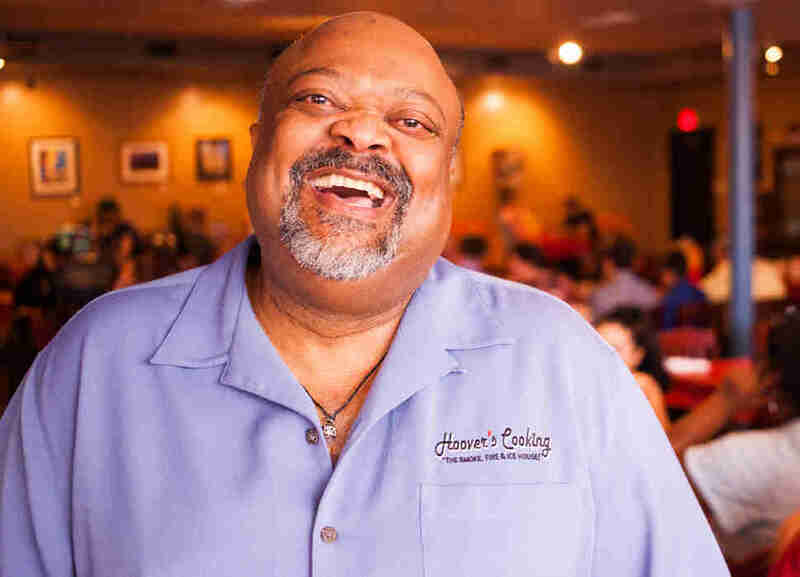 Experience what you can of the history and culture of Austin and visit the historical and black-owned or Latino-owned restaurants in the area, then head up North Lamar for the restaurants in Austin’s Chinatown. Stroll down South Congress and talk to shop owners about what used to be across the street from them. And, sure, go ahead and take a picture of the view from a crosswalk down to the Capitol. We’ve all done it. Austin still hasn’t quite figured out what kind of city it’s going to become. Give it this much: The city does at least cling to ideals, even if it fails to meet them. Whether it continues to push out the very communities that nourish its culture or whether it finally becomes accessible to a larger demographic remains to be seen. The way to glimpse the city’s potential -- as the worst or the best version of itself -- is to see and learn as much as you can while you’re here. Doyin Oyeniyi is a writer and digital storyteller with a passion for sharing the stories of marginalized people. She was born in Nigeria, but has lived in Texas for most of her life. After graduating from the University of Texas at Austin, she’s written primarily for online outlets such as Bustle, Everyday Feminism, and TexasMonthly.com. 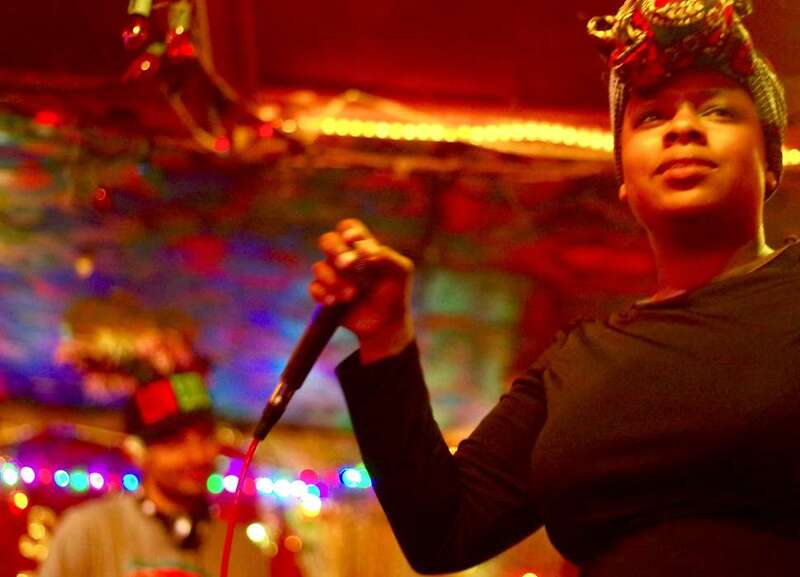 Doyin lives in Austin, Texas, where she’s exploring and sharing the stories of Black Austinites through a web series called Austin While Black. She tweets @doyinoyen.